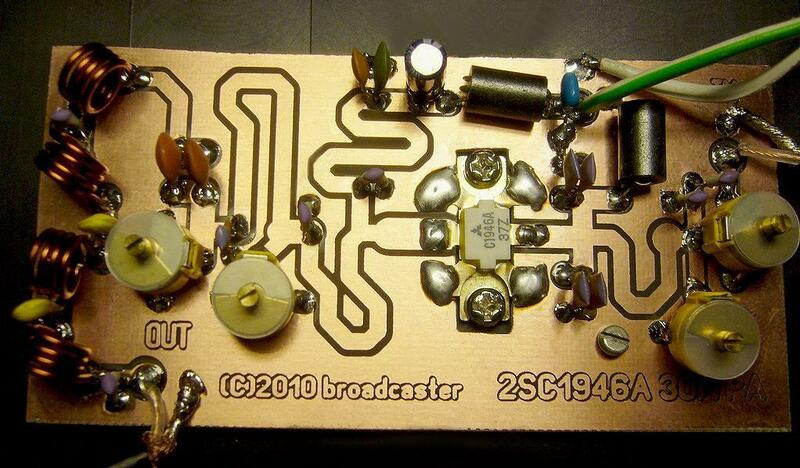 This RF Amplifier designed for FM broadcast using a single 2SC1946 VHF Power Transistor. This 10-30W RF amplifier circuit provides an appropriate power boost with an input of 1-3 watt. Tower are 30 meters high will send signal surrounding air should be around 15 km. The layout of the 2SC1946 28 Watts FM broadcast RF amplifier has been created with sPRINT Layout v3.0. You can get a Shareware copy at: http://www.abacom.de. The pcb outline is 100 x 50 mm (width x height). 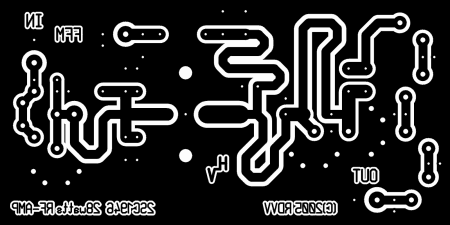 all four (4) coils (in the lowpass filter section) are: 3.5 turns, 8 mm DIA., 1.2 mm CuL closewound i.e. no wirespacing. CuL = magnetwire, enameled copper wire, insulated (rigid) copper wire e.t.c..
all diameters are measured from the inside of the coils, i.e. ‘internal’ diameter. Can it function at lower frequencies, like 50mHz? And if so, will it’s output remain 10 to 30 Watt. Hi. What about power supply?12 or 28 volts? 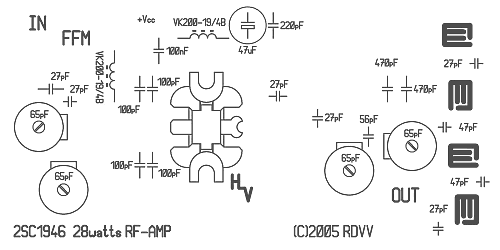 Coil vk200-19/4b is available any replacement or just simple connecting (a piece of wire)? 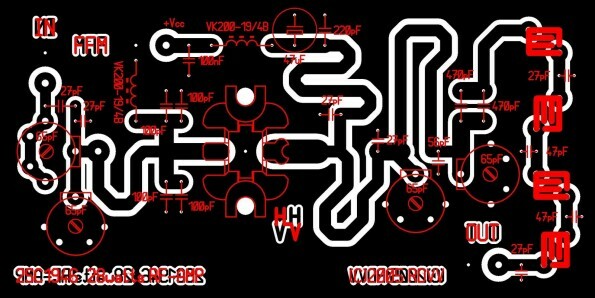 circuit is hard to understand.plz provide general circuit diagram. Can the offset to its bare pcb? How to purchase in order to do this? The procurement of the time? i want this Board how many price in srilanka? Pls i need the schematic for the 28w power rf amplifier. Can I have your e mail,skype and facebook psedo?